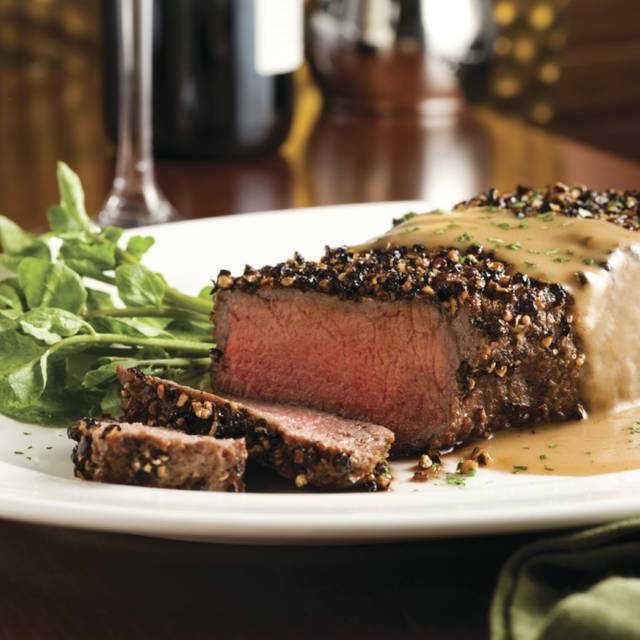 You must make reservations at least 5 minutes in advance of the time at The Capital Grille - Garden City. When we arrived for our reservation and they were busy having about 20 people waiting to be seated. In the bar area there are a few "high top" tables that were empty but dirty, (plates). Tables were not cleaned for over 10 minutes and left empty meanwhile 20 people waiting to be seated. I told the host that we would be willing to sit in the bar area being since the tables have been empty for a while. I brought it the hostess station attention and spoke with a tall Asian man. Table was still left uncleaned for the next several minutes and we still stood there waiting to be seated. When we were finally seated everything was EXCELLENT, food and wait service! 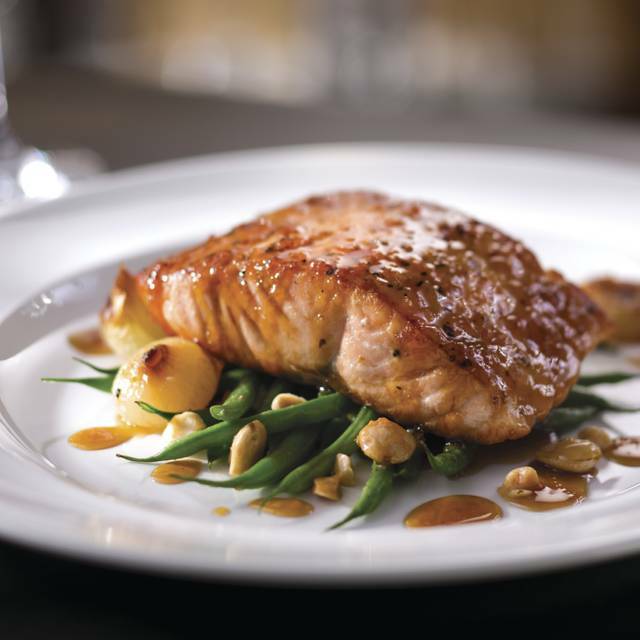 We have eaten many times at this Capital Grille, but our prior two visits we were very disappointed by the wait time to be seated. Both times we had reservations. Both times we arrived ten minutes prior. The first time we waited an hour and twenty past our reservation time to be seated. This prior time which you reached out for review we waited 40 minutes past our reservation time. Both times we were told that it was only a few minutes behind and we'd be seated in 10-15 minutes. I understand you cannot make people get up; however, hearing everyone else talking while waiting, this is happening frequently lately. Of course unexpected things happen; but don't tell us ten minutes and a full hour goes by. The other thing we notice is that larger groups who arrive way after us and way later reservation times, are seated before us. Sometimes as few as a group of four being seated when we are 2 or 3 people. Again, we understand that tables must be set aside for larger groups; however, if you have a number of reservations for 2 or 3 people who are waiting way past their reservation time, then you split up the large table into the smaller tables, seat them and then have the larger group wait. We were not the only ones who were very upset by this. I am hoping it was just an occasional lapse, but the fact this has happened the prior two occasions in a row is disconcerting. The workers were always friendly and polite, it's just the time they report and when you are seated is way off and it should not be an hour wait past a reservation time if things were spaced out accordingly. It is known in the field that you get those who sit and drink coffee for a bit after and while you want more customers, you can't rush them, so you space reservation times accordingly. For such a big restaurant, this should not be happening. Everything else in both meals was fine. I’ve been here many times, mostly weekdays. This past Saturday night I had a 7:30 reservation but was not seated until 8pm. I don’t mind the cost of a high end restaurant but I do expect them to honor the reserved time. The overall experience is very nice however I feel the food was a bit pricy. We could’ve gotten more bank for our buck at a few other restaurants. 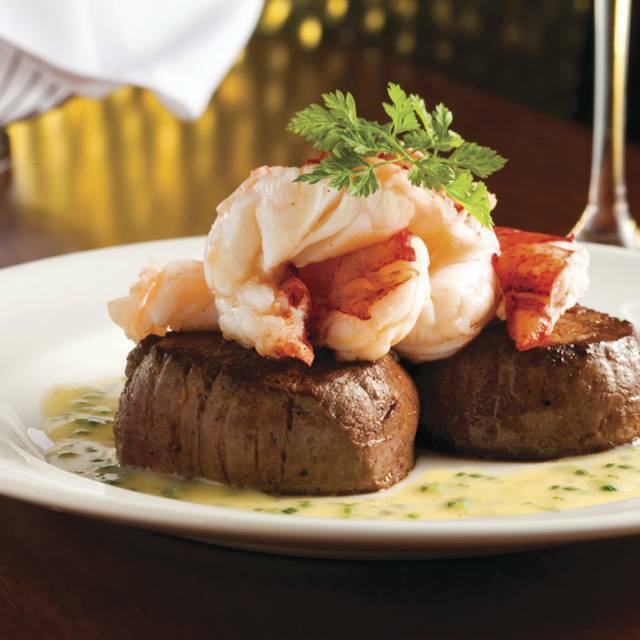 I have no problem paying for fine dining but I feel capital grill is a bit pricey and their food is just okay to me. The noise level is a bit loud, especially for fine dining. It did end very nice with a complimentary desert for my dads birthday! Will i come back, maybe. This place is wonderful for special occasions or for any time. Service excellent and food delicious!! Couldn't ask for a better experience. The room we were in was cozy and very comfortable. The waiter staff was extremely helpful and attentive. Most importantly, the food was exceptional. Although pretty pricey, you get what you pay for. Not as good as I remembered it being. Service was very good. Ordered my filet mignon medium, it was served medium well. Potatoes au gratin were meh, not very flavorful. 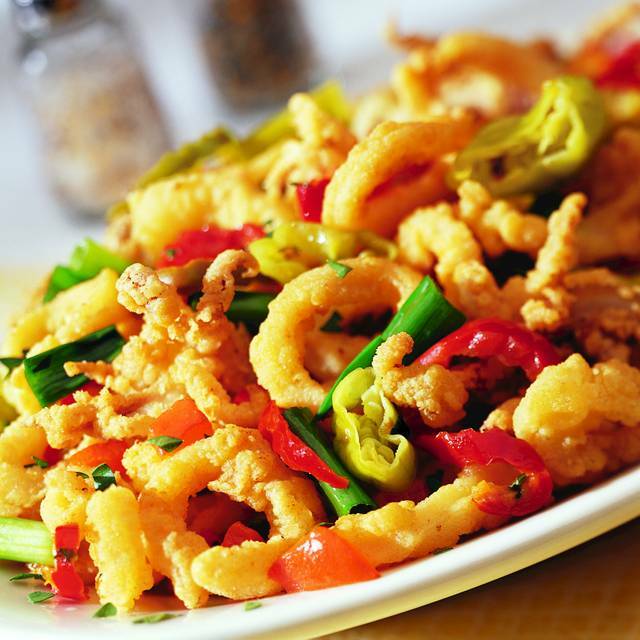 Fried calamari appetizer with cherry peppers was crispy and very good. They made my girlfriends birthday a special one. All around great experience, she had a blast. Food was great, we had a great waiter, everyone we encountered was very friendly and helpful. Really enjoyed the decor as well of the place. Would dine again! The food and service are both outstanding. Would definitely recommend. My family enjoyed the food and was provided with excellent service by Rachel. Such a fantastic birthday experience ! From the service to the food ! Def will be dining there again ! Food was good but priced to high for what your receiving. Portions of side dishes were less then expected. 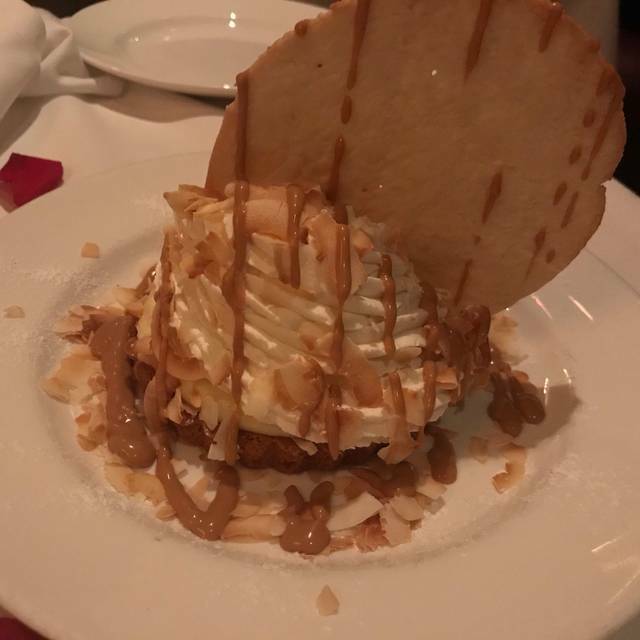 This was our first time dining at the capital Grille, we were seated right next to the kitchen where the staff were quite loud not only preparing kitchen orders but laughing and yelling back-and-forth to one another. For a high-end restaurant I found this totally unacceptable. The food was outstanding, however our server was a bit on the slow side. I believe they had him waiting on two sides of the restaurant and with as many waiters as they had on duty I found it odd that he was running back-and-forth and disappearing for long periods of time. The food was amazing. The service was great as well. It was the best filet mignon I’ve ever tasted. 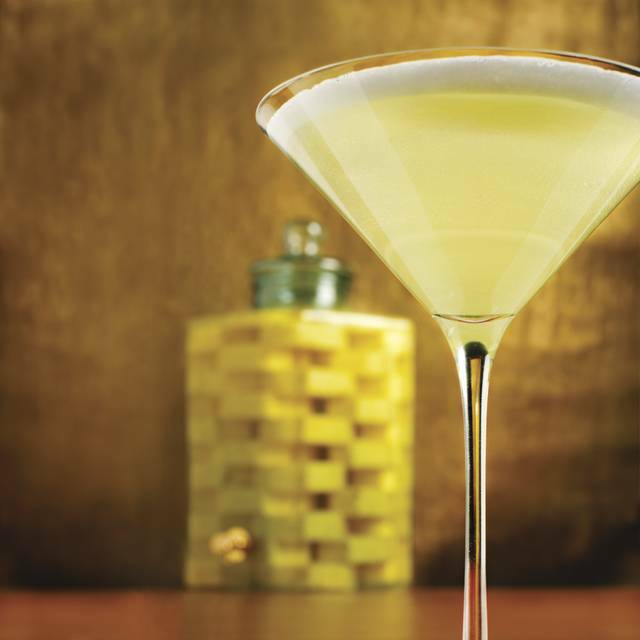 Would wish they had more choice of rum on cocktail menu, but besides that a great dining experience. Excellent experience, Valet, Reception,Bar, Waiter was amazing very helpful throughout the meal, Menu was priced reasonably for quality, side portion was larger than most Steakhouse sides, Overall ambiance was a contributing factor and the quality of the other guests dining all made for a wonderful experience. As usual, a first class meal .. Three different steaks at our table all were perfect..
It’s was a great experience I usually would go to the one in manhattan but this time I went to the one in garden city an it’s the best so far food was awesome delicious no words to explain it’s just the best restaurant in garden city period🙌👏👏 make sure ask for Darlene Trapierakis the host ever. Wonderful evening at The Capital Grillle. Took very good care of us and our Engagement dinner. We come to Capital Grille often for birthday dinners but this time around, the service was for sure BELOW sub par. I will start by saying that the the girl/greeter who walked over us to our table was very nice and she told the birthday girl(my niece) happy birthday and was she very enthusiastic. There was a nice birthday setup at the table (same table we sat at last year for her birthday) so naturally we thought dinner would be amazing as it usually is. Then the ball dropped. The server attempted to take the menu away from my boyfriend before he even got to order. We made a note about a nut allergy in our reservation however a biscotti with nuts on it made it on the dessert plate for my niece whose 1 of the 2 people at the table allergic to nuts. The server who brought it out snatched it off her plate after we inquired about it- because it looked like it contained nuts. Our server never removed the wine glasses from the table so when our food arrived there was barely space on the table. We felt that our server was uninterested and somewhat rushing. We were shocked because this never happens. I hope that if we decide to dine here again, the service is much better. We always enjoy eating here. However that night waiter was a little off. After main course was served he did not check back on us for a while. This happened again after the dessert menu. By then, I lost interest in dessert. Also, it will be nice to have non-dairy or non-fat milk options for coffee for those you have issues with lactose. Lastly, I found it odd that the restaurant or its staff did not ask a table that was being loud to be considerate of others. Esp when the waiter admitted that the table was loud and had complaints from other patrons. Guenevere was exceptional. She paíd attention to us and anticipated our needs before we could ask for it. She was very polite and provided excepcional servicio. Thank you. Staff was friendly and attentive. We were there with a group of six. Everyone’s stacks were perfect except my husbands. Asked for medium came out well. They could not have been nicer about it. When my husband declined to send it back they gave him a gift card to ensure we come back. Listen we’ve been there several times always excellent. Mistakes happen. Will definitely be back. Beautiful Restaurant, the bar is outstanding with great service on a Friday night. The bar tender was so great and happy! We ask for a quite booth and we got it and it was so nice. Great service, and our steak was amazing. Parking in such s busy place was perfect. The atmosphere is very relaxing. We ordered the NY Strip and Lamb rack, which was cook just the way we liked it and tasted amazing. Everything was fantastic. 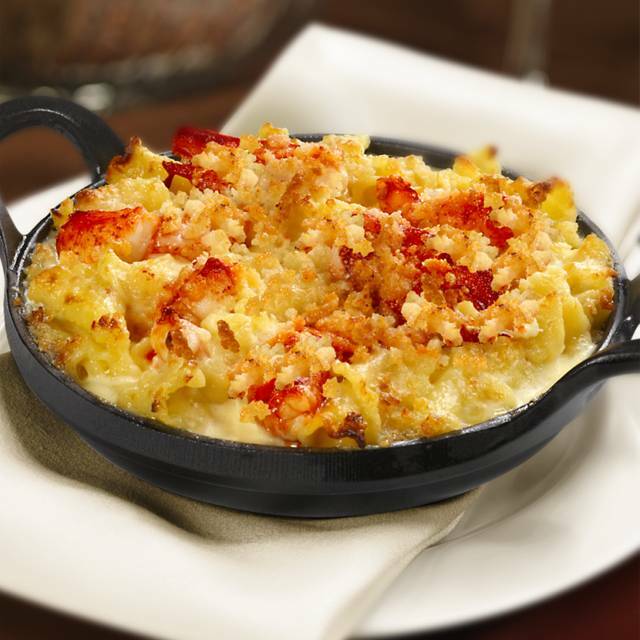 Get the Lobster Mac and Cheese you won't be sorry. Wonderful meal and service. They put some rose petals on the table for our anniversary. So thoughtful! Celebrate wife’s birthday. Decorated table before we arrived and brought out amazing deserts. Food was excellent; however, the service was poor. When we arrived, we had to wait, as there was no one at the reception desk and no one in the coat check room. The person who showed us to the table was clearly rushing and stressed. The waiter checked on us shortly after the food arrived, then never came back. The restaurant was not busy, but I had to flag him down twice; once to ask for a water refill and the second time to ask for the check. It took a good 15 minutes for the water to arrive, and a long wait again before I could locate the waiter to ask for the check. For the price and ambience, I expect much more attentive service. We dined at capital grill for our 14th anniversary and the experience was incredible. The service was excellent , thanks to our server Tyler, and so was the food. We made a last minute reservation (same day) and checked off that it was our anniversary celebration on open table. When we got the the restaurant the hostess seated us at a table decorated with heart confetti with a hand written card wishing us a happy anniversary. 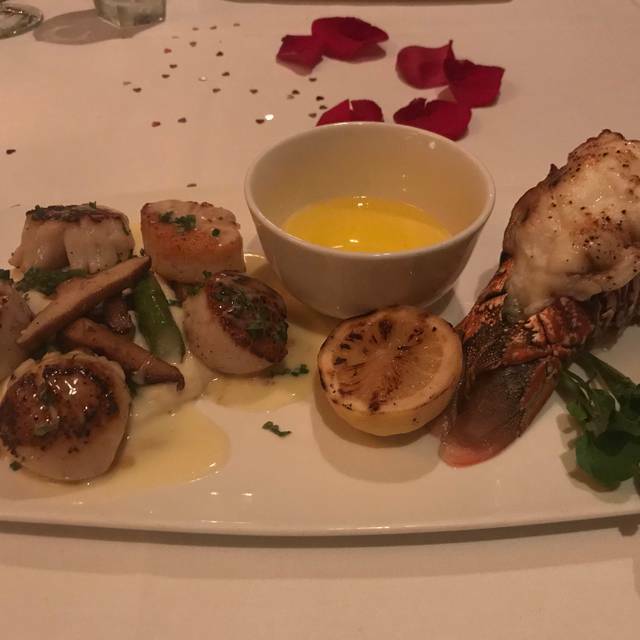 In addition to our delicious meal, sirloin steak with lobster tails and fillet minion, we got complimentary champagne and dessert. The manger also took the time to stop by the table to wish us happy anniversary. 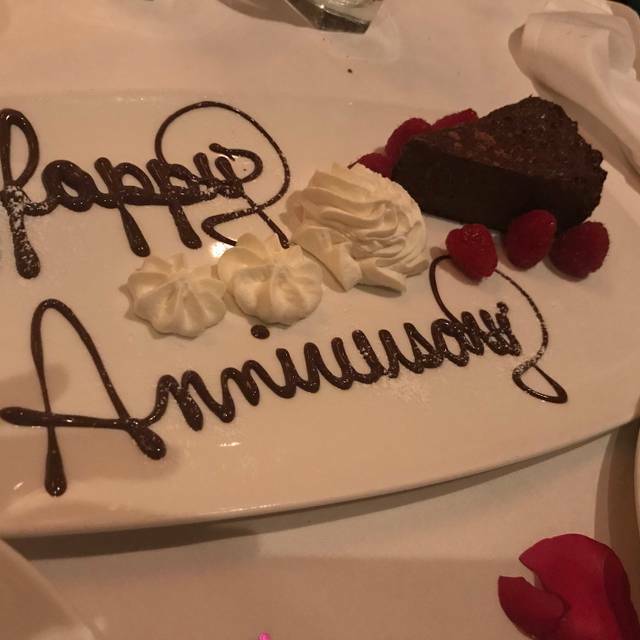 Thank you Capital Grill for making our celebration so much more special. Good steak. Good waiter. Wine should not be ordered on ipad. Two mistakes happened. Aside from the phenomenal food, the service is superb. We usually only go after Christmas shopping but will be making this one of our go to spots for dinner. Asked for a glass of Merlot only Available was 22 dollars . Steak was nothing special not even close to peter Lugers. Will not be returning.